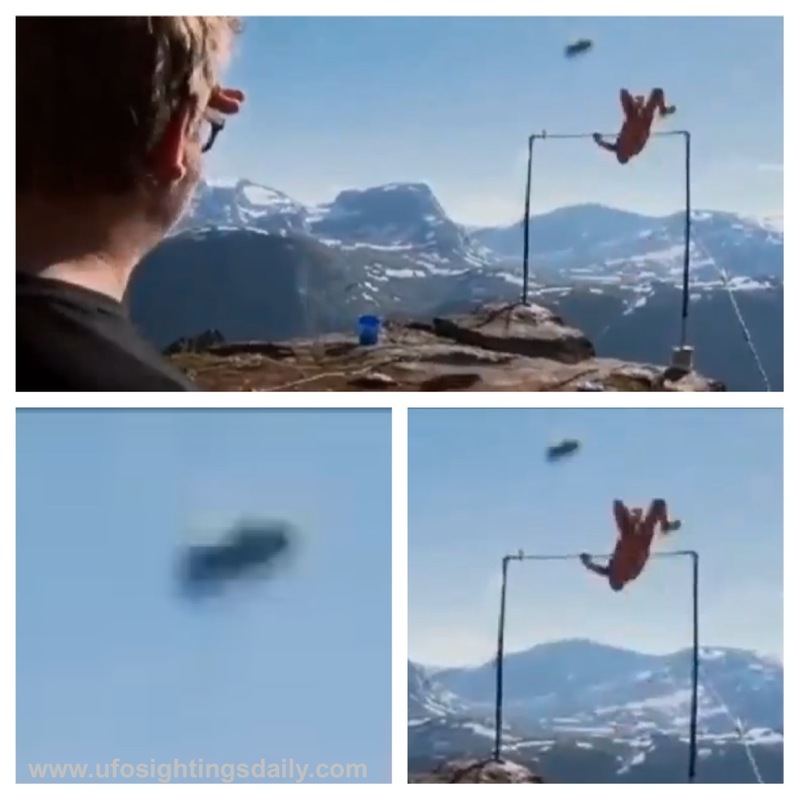 UFO SIGHTINGS DAILY: Cliff Jumper Almost Dies And UFO Caught On Video Near Him By TV Crew, Norway Oct 2012. Cliff Jumper Almost Dies And UFO Caught On Video Near Him By TV Crew, Norway Oct 2012. When base jumper Richard Henderson tried to leap from a bar when suddenly the whole set up collapses on him causing him to fall. Lucky for him he pulled his parachute and managed to land on a ledge where rescuers found him.